I am Gourab Mohanty, pursuing my B.Tech degree in Mechanical Engineering at SRM University, Chennai. I am currently in final year of my B.Tech. I am very much interested in Design and Manufacturing aspects of Engineering Technology and also in Hydraulic Systems. I am also an aviation enthusiast and very keen on learning about the latest developments in technologies in the field of Aerospace Engineering, from design to manufacturing & assembly. I opted for Implant Training during Summer Break and Vocational Project based Internship during Winter Break without stipend at the Visakhapatnam Steel Plant, Visakhapatnam, Andhra Pradesh. I did my Implant Training at Visakhapatnam Steel Plant in Blast Furnace Department. The duration for the Implant Training was 3 weeks and I, along with 4 of my batch mates, underwent the training in June 2014. 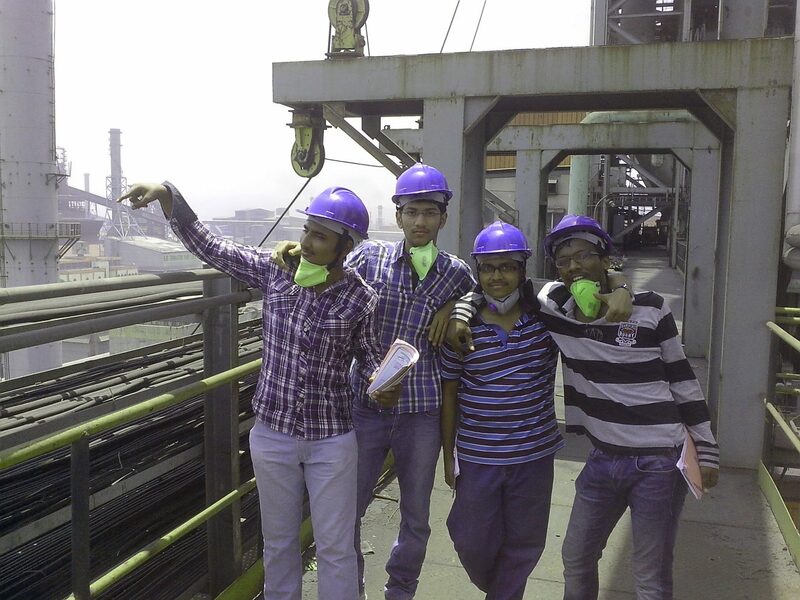 I also did my Internship again at Visakhapatnam Steel Plant but this time in Thermal Power Plant Department during the Winter Vacations in December 2014 for 1 month, till January 2015. Q3) How did you come to know about the internship? Which channels of information (Internet/ Personal/Corporate contacts etc) did you utilize? Well, my father worked at Visakhapatnam Steel Plant for 27 years and now he is in NMDC (National Mineral Development Corporation) Iron and Steel Plant [NISP] at Chattisgarh. He helped me to get this internship and also the implant training, because it isn’t easy to get an opportunity like this that too in such an indigenous steel plant. For applying to an internship or implant training at Visakhapatnam Steel Plant, you need to access the web link on the Vizag Steel Website. It contains a PDF listing the steps involved in application for either internship or vocational training. The competition for getting internship or training offer in Vizag Steel is very high, i.e., generally around 2000 students apply for internship and 1000-1500 get the offer. The Technical Training Institute of Vizag Steel thoroughly scrutinizes the application and gives green signal for the applicants, otherwise rejects them. Q6) According to you, what are some common mistakes that you feel applicants should avoid in the internship application process? Talking about the common mistakes while applying for the training or internship process, I would sincerely advise all the juniors and applicants to remember to carry all documents as required by the Training Institute otherwise you could miss out on an awesome experience here. After getting the green signal from the Training Institute, we need to just collect our CISF Issued attested Gate pass and go to the steel plant for the purpose of our training or internship at the respective departments under the assigned guide in charge. 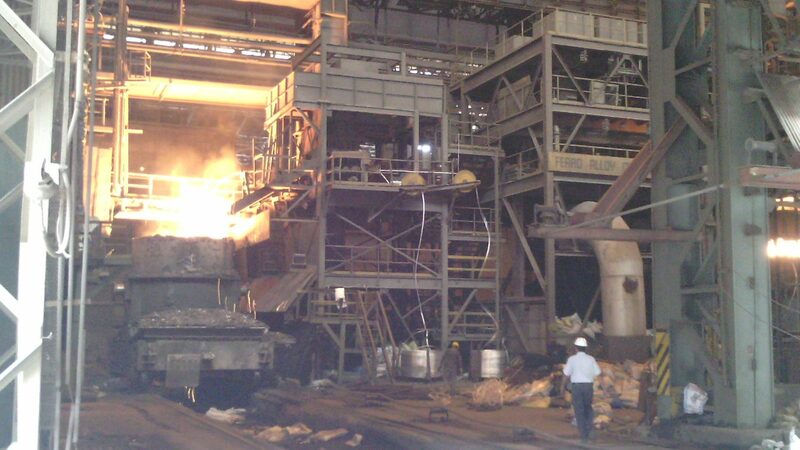 Here, we got a hand on experience on how the liquid metal was produced in one of the largest and biggest Blast Furnace in the history of Steel Plants across Asia, which has a capacity of 2.5 Million Tons of Liquid Steel apart from the other two Blast Furnaces in the Steel Plant, which produce the half of it. 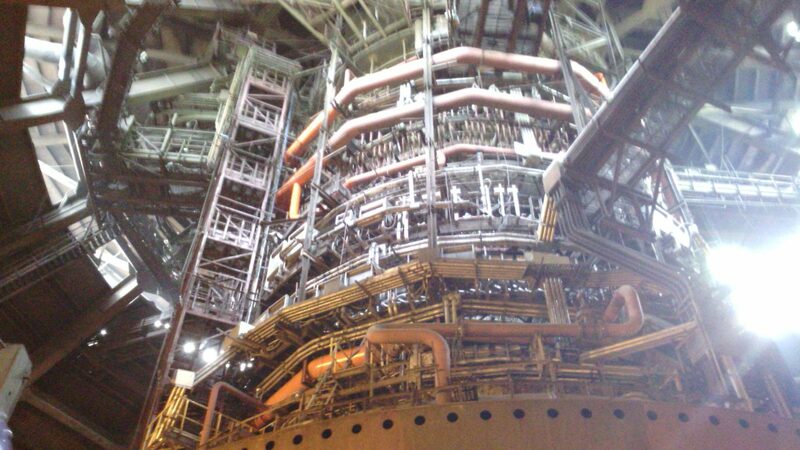 The new Blast Furnace, BF-3 was constructed as a part of the expansion programme of RINL (Rashthriya Ispat Nigam Limited) for increasing the plant production capacity to 6.3 Mt per year liquid steel. The project is being executed on a complete turn-key basis by the Consortium formed by Paul Wurth, Italy (PWIT), Larsen & Toubro (L&T) and Paul Wurth, India (PWIN). We had a good time and learnt a lot about how the liquid metal is produced and converted into hardened steel in the overall process in the steel plant. In this internship, I did a project on “Boiler Tube Leakages and its analysis”, where I observed and gained fruitful knowledge on how a boiler functions and when on shutdown due tube leakage, how the problem is analysed and rectified. These kinds of internships or training give a fair idea about future developments in steel industry. As for future prospects, the Indian Government is planning to invest more on infrastructural development in the country, which will result in future technological development in the Steel Industry. I believe the Steel Industry will bloom further, and when it does, it will require more of skilled manpower to make the infrastructure efficient. Yes, this was my first implant training and my first project based internship. The organization’s personnel showed exemplary professional working ethics, in clarifying our doubts and ensuring the trainees’ safety during the period of their training/internship. Well there weren’t any glitches or problems I faced during these days, but most of the trainees do face the problem of commuting to the required departments or entry/exit gates as the area of the steel plant is quite large, and walking all the way without any knowledge of the area is very risky. So I would advise all the trainees and juniors to arrange your transport beforehand with the prior permission of the CISF Commandant personally. Also accommodation is quite a problem, especially if trainee hostels are full, so as soon as possible, book yourselves a perfect accommodation near the steel plant. If you get bored on weekends during the training/internship period, you can visit the whole of Vizag, its beaches, shopping malls, theatres, go on sight-seeing trips. Don’t miss out on Araku Valley- it’s only 90 kms from Vizag and the natural mesmerising beauty of nature there would relieve your boredom so that you can work with enthusiasm throughout your training period, like my batch mates and I did. Q13) How much difference has this internship period made in your intellectual capabilities and mind set. In broad terms what are your gains and takeaways? The internship and the implant training has made quite a lot of difference in terms of my intellectual capabilities and my mind set. During this time, I have gained a lot of practical knowledge on the latest technological developments in steel industry. Apart from providing practical experience to complement my theoretical base, the internship and the training helped me get a feel of what it is like to be a steel plant employee, letting me live my dream of playing a role in the nation’s infrastructural growth. My aim is to become an aerospace engineer, and yes, this training & internship has been very important for learning the use of practical knowledge in real-life applications. Well, I feel that Intern Feel is doing an amazing job in providing a platform for the experienced to share their knowledge and experiences in the internships or the training they underwent, so that the readers will surely be excited to feel that experience when they follow the same path while during their internships/training.. I would like to compliment the Intern Feel team in this effort and I would recommend them to keep up the good work.